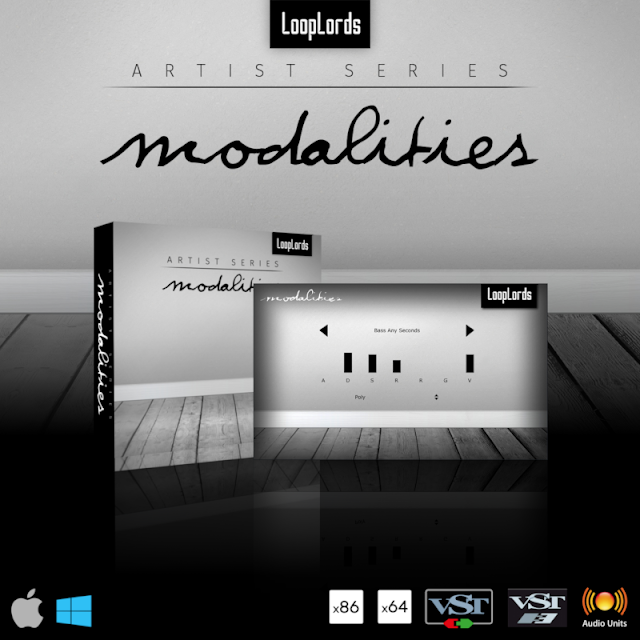 Modalities is a plugin instrument inspired by the sound of Depeche Mode. 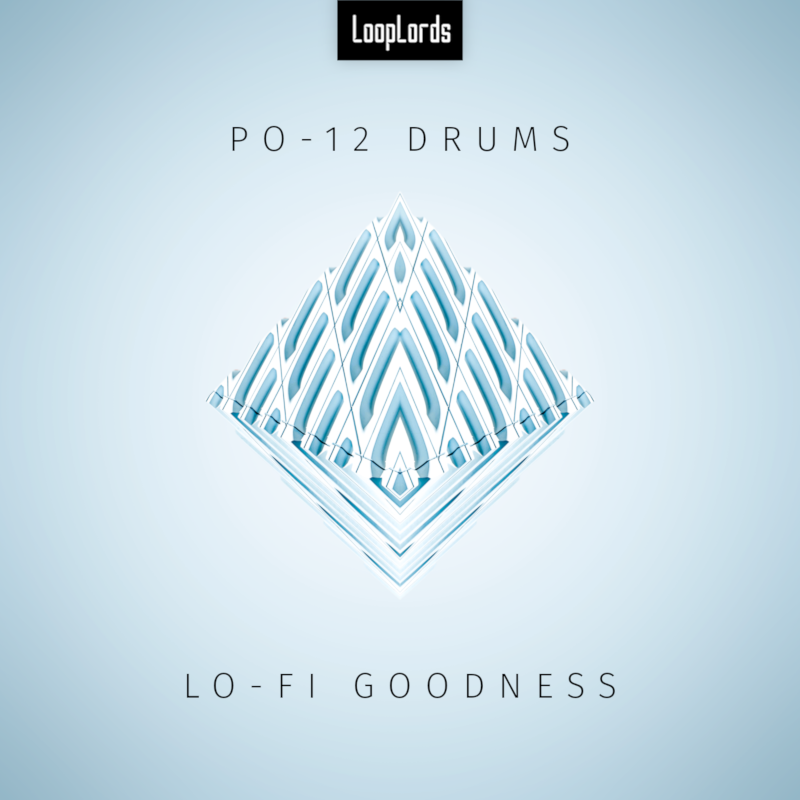 It features 162 multi-sampled and hand-crafted sounds inspired by the music of one of the greatest band to ever come out of the eighties. 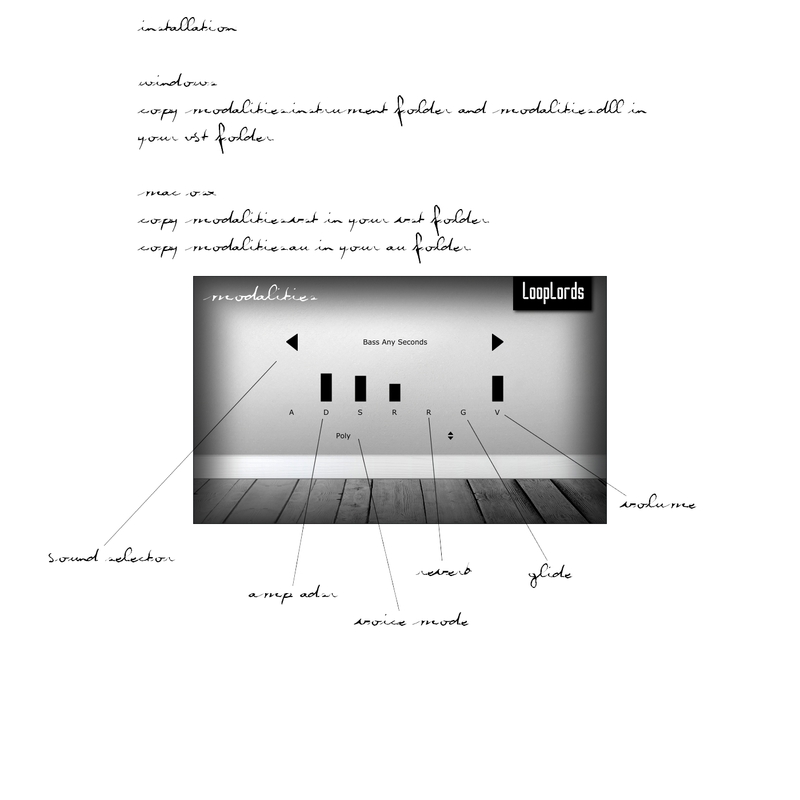 Each sound has been carefully tweaked to be rich in tones and highly playable. An easy to use and elegant interface gives you access to sound shaping parameters including an amp ADSR, a reverb, a glide, and a voice mode selector. 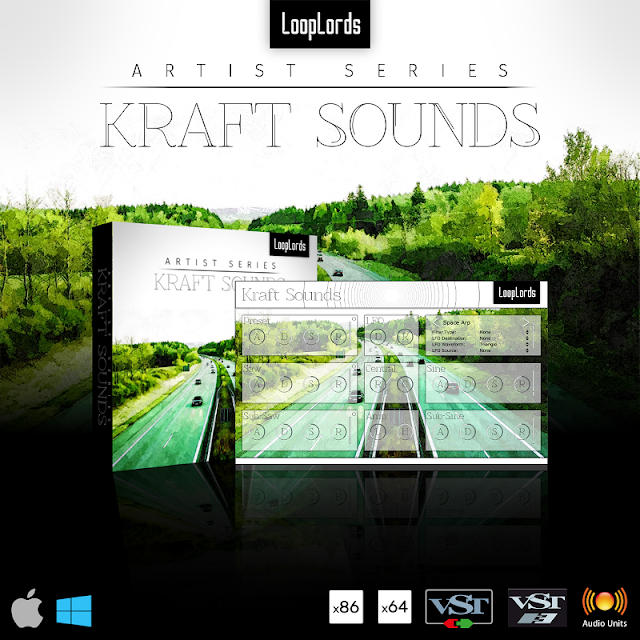 Kraft Sounds is a plugin instrument inspired by the classic sound of electronic music's pioneers Kraftwerk. 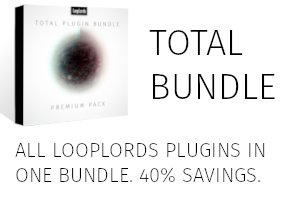 It features 84 multi-sampled and hand-crafted sounds inspired by the music of one of the greatest band of all time. 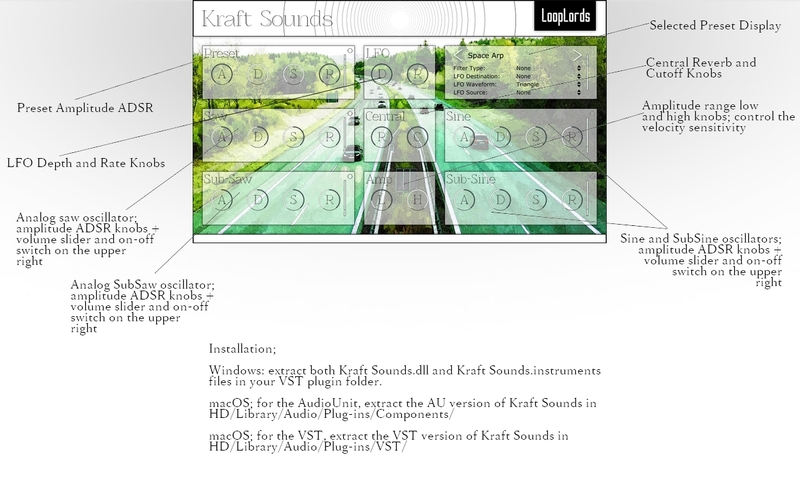 Each sound has been carefully tweaked to be rich in tones and highly flexible. 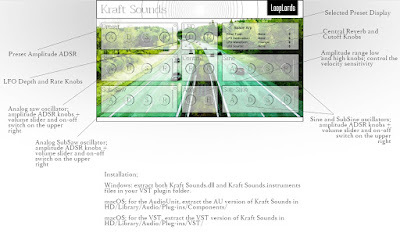 The easy to use and high tech interface gives access to a simple array of sound shaping parameters including 4 analog modeled oscillators, an amp ADSR, a reverb, a legato, and a voice mode selector. 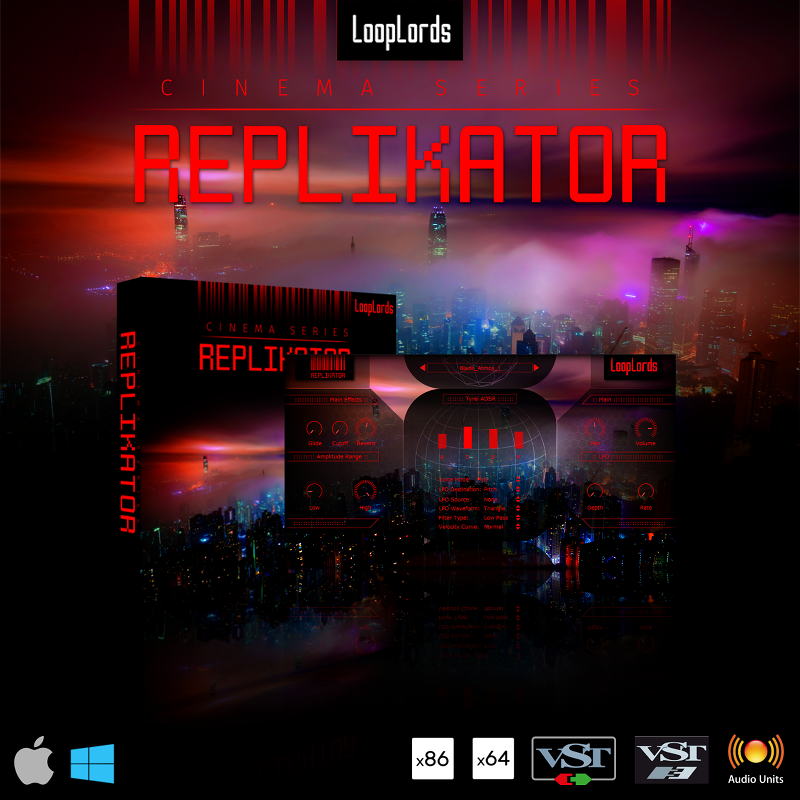 Replikator is a plugin instrument inspired by the classic sound of the Blade Runner movie's original soundtrack. It features 63 multi-sampled and hand-crafted sounds inspired by the music of one of the greatest soundtrack of all time. 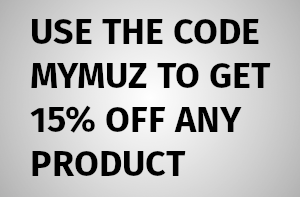 Each sound has been carefully tweaked to be rich in tones and highly playable. The easy to use and high tech interface gives access to a simple array of sound shaping parameters including an amp ADSR, a reverb, a legato, and a voice mode selector. 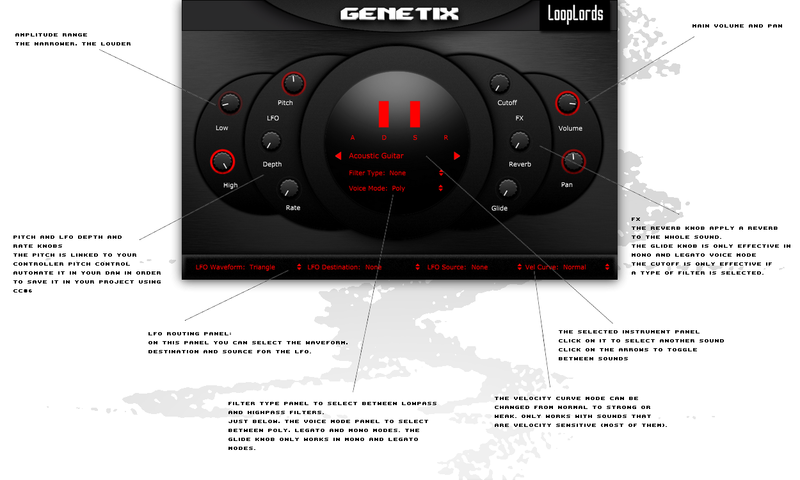 GenetiX is a plugin instrument inspired by the classic sound of the Sega Genesis (MegaDrive in Europe) video game console. 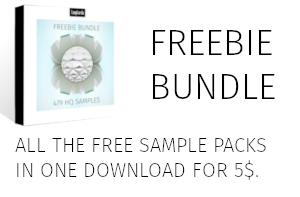 It features 100 multi-sampled epic FM sounds inspired by the music of one of the greatest console of all time. An additional 13 sounds have been added as a bonus. 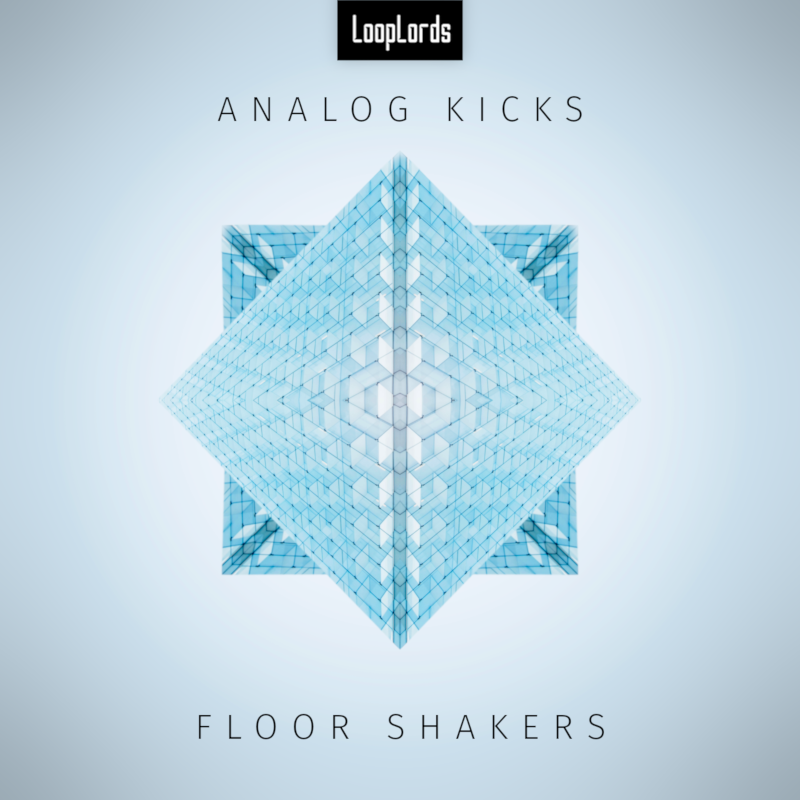 Each sound has been carefully tweaked to be reminiscent of the greatest Sega game system. The easy to use and high tech interface gives access to a simple array of sound shaping parameters including an amplitude ADSR, a lowpass/highpass filter, a reverb, a legato/glide, and a voice mode selector. 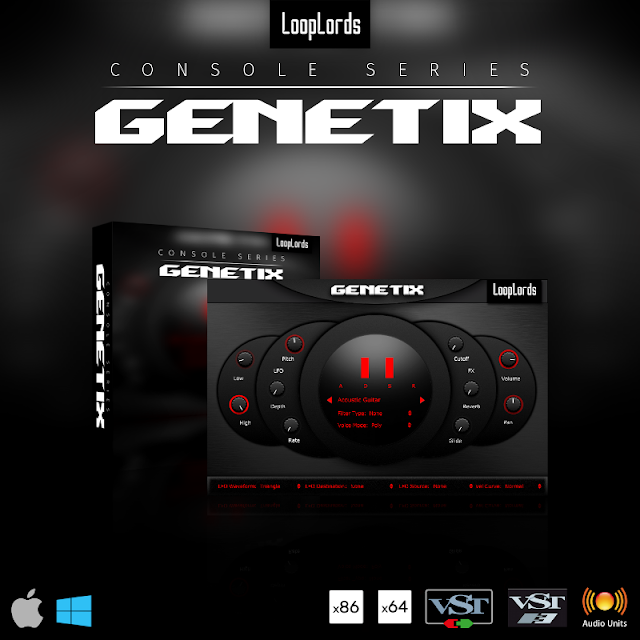 Get free samples and loops taken from GenetiX on AudioBombs.